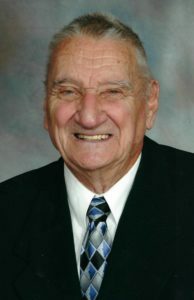 Rice, David Gordon passed away peacefully at Lookout Ridge on March 28, 2019, in his 76th year. Lovingly remembered by his sons Brian (Cherylanne) Rice and Phillip (Ann McKenna) Rice and his four grandchildren. Missed by his brothers Tom (Mary Lou) and Paul. Predeceased by his wife Margaret and his parents Gordan and Francis. Funeral arrangements have been entrusted to the LAMPMAN FUNERAL HOME, 728 Canboro Road, Fenwick. As per David’s wishes, cremation has taken place and a celebration of life will be announced at a later date. The family would like to thank the 1st and 3rd floor staff at Lookout Ridge for their care and compassion for David during his stay. In lieu of flowers, donations to Lookout Ridge Retirement Home would be appreciated by the family. Mary Elizabeth McNiven – Born December 30, 1924. 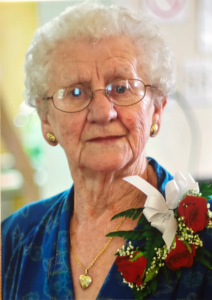 Passed away peacefully at Heritage Green Nursing Home in Stoney Creek, Ontario on Friday March 22, 2019 in her 95th year. Loving mom to Donald McNiven (Sue), Robert McNiven (Judy) and Marlene (McNiven) Morton (Byron). Grandchildren Michelle (Brad) Brenneman, Chris McNiven (Jennifer), Mathew McNiven (Naomi), Jessie DaCosta (Alex) and Stacey Morton. Great Grandchildren Daniel Brenneman, Caitlin Brenneman, Ryan Brenneman, Liam McNiven, Drew McNiven, Ava DaCosta, Gabriel DaCosta, Liam Butler, Josiah Cardozo. Survived by sister Eileen Traver and sisters in law Jean Bossert and Della Traver. Predeceased by her husband Rev. Andrew McNiven. Thankyou to all the Heritage Green nursing staff for taking such good care of our mom. Funeral service will be held at the Boyle Brethren in Christ Church on Tuesday March 26th at 12:00P.M. Interment at Maple Lawn Cemetery in Wainfleet to follow. Visitation will take place at the church from 10:00 until 11:45. Quigley, Gordon Henry passed away peacefully at Millennium Trail Manor on February 28, 2019 at the age of 95. Loving husband to Sylvia for 66 years. Cherished father to Keith (MaryAnne) Quigley, Betty (Marty Glabb) Stolk-Glabb, Ben (Kate) Quigley, Kathy (Tom) Keenan and Patricia Quigley. Missed by his grandchildren Eileen and Kaitlyn Quigley, Skylar (Laura) and Travis (Janice) Stolk, Paige (MJ) Glabb-Lafleche, Farrah Glabb, Holly Keenan, and great-grandson Benjamin Stolk. Predeceased by his brothers and sisters Hazel, Franklin “Bud”, Velma and Jack. Gordon was born and raised in Beamsville. He and his brothers inherited their father’s plumbing business when Gordon was a teen, and he continued to run the business for 26 years. Gordon enjoyed helping people by generously sharing his many construction, plumbing and mechanical skills. In 1960 he and Sylvia purchased a 100-acre farm in Pelham where they raised their family. Gordon started working at Cyanamid, where he was employed for 28 years until he retired in 1988. Gordon was a Mason at Ivy Lodge and longtime member of the Eastern Star. He was also a founding member of the North Pelham Youth Association, to which he donated the land for a community hall which he helped to build and maintain. He donated his skills to the North Pelham Presbyterian Church for many years. His family continue to enjoy the cottage he built in Port Severn. He passed along his love of all thing mechanical to his sons, and his love of animals to all 5 of his children. The family would like to thank the staff at Millennium Trail Manor for their care and Ed Thompson for his long friendship and frequent visits. Family and friends will be received at LAMPMAN FUNERAL HOME, 724 Canboro Rd. Fenwick on Sunday, March 3 from 2-4pm and 7-9pm. A service to honour Gordon’s life will take place on Monday, March 4 at the North Pelham Presbyterian Church, 602 Metler Rd. Fenwick beginning at 11am. Donations to the North Pelham Youth Association or the North Pelham Presbyterian Church would be appreciated by the family. It is with great sadness that we announce the passing of Mr. Daryl Walter Sherlock of Welland, Ontario at the age of 60 years on February 20, 2019. Daryl is survived by his loving mother, Dolores Young of Welland, Ontario; brother David (Andrea) Sherlock of Fonthill, Ontario; daughter Jennifer (Jason) McKenzie of Mayerthorpe, AB; son Trevor (Nadia) Sherlock of Sarnia, Ontario; daughter Melanie (Bill) Sherlock of Sarnia, Ontario; and grandchildren Justin, Madalyn, Michael, Paisley, Elizabeth, Brady, Henry and Winnie; nephews Jordan, Phil, and Eric. Daryl was predeceased by his father Paul Sherlock. Daryl spent nearly 35 years with CN, CXS, and CP as an operator, brakeman, conductor and locomotive engineer. He was also an accomplished trombonist and photographer. In his younger years he served in the militia reserve of the Canadian Armed Forces. He loved his grandchildren, and was always close to his mother. Cremation has taken place. A memorial service will be held at the LAMPMAN FUNERAL HOME, 724 Canboro Road, Fenwick on Thursday, February 28 at 11 am. Visitation will be on Wednesday, February 27 from 7-9pm and Thursday, February 28 from 9 am until the time of service at 11 am. It is with deep sadness the family announce the sudden passing of Maryke on February 5, 2019 in her 98th year. Predeceased by her loving husband Gerrit (1976). Beloved aunt (Tante) of Janice Cox (Kevin), Stewart Flameling (Jocelyn), Margaret Heikkila (Brian); Stewart Flameling (Jan), the late Margarita Moate (2013), Lawrence Flameling (Patricia) and Edward Flameling. Predeceased by brothers Schelte and Ype. Loved by sister-in-law Tine; and the children of all of her nieces and nephews. Cremation has taken place. A Celebration of Life Service will be held Saturday, February 16, 2019 at 10 am at Lampman Funeral Chapel, at 724 Canboro Rd, Fenwick, ON. Interment to follow at Riverside Cemetary in Wellandport. Passed away peacefully at Shorthills Villa in Fonthill on Thursday January 31, 2019 in her 96th year. Loving mother of Diane Reed, Beverly Letford (Duart) and Ron. Dear Grandmother to Michael (Joanne), Jason (Kim), Adam (Kimberly), Amanda (Cory), Ezra and Leah. Great Grandmother to Christopher, Nicholas, Elise and Bridget. Jean is survived by her sisters Lillian Scott and Milly Peitsch. Predeceased by her husband Clair (Bill), brothers John and Arthur and son in law Tom. Funeral service will be held on Tuesday February 5th at 11:00A.M. at the Church of Christ 765 Welland Road, Fenwick. Interment at Lane Cemetery to follow. Visitation will take place from 10:00 A.M. until time of service. Arrangements entrusted to LAMPMAN FUNERAL HOME 724 Canboro Road, Fenwick. Cosby, Darlene passed away at Oakwood Park Lodge in Niagara Falls on Thursday January 17, 2019 at the age of 53. Loving sister to John (Grace), Dave (Karen), Kevin (Rose), Colleen Colbert (Bruce), Victor (Phoenix), Marilyn McBride (Chuck), Gary, Jim (Mary) and Robert. Cremation has taken place. A memorial service will be held at the LAMPMAN FUNERAL HOME 724 Canboro Road, Fenwick on Tuesday January 29th at 10:00 A.M. Interment at North Pelham Cemetery to follow. Visitation will take place from 9:00 A.M. until time of service.